Ever since early childhood I wanted to make my own platformer game. I've made a few arcade-style ones, but I've never actually made anything big. 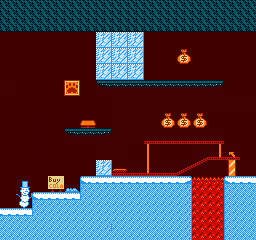 This is the start of a big platformer. 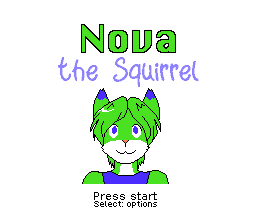 Nova the Squirrel is an NES platformer game that combines Kirby's ability copying with Mario's platforming and various other games that I loved as a kid. After the first world there will be an emphasis on puzzles and using abilities to interact with blocks in different ways, using ice to freeze water or using water or wind to blow out fire, etc. 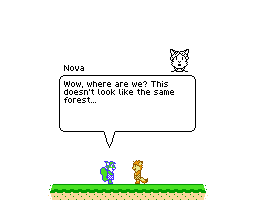 It's got variable-width font cutscenes and a story (that mostly involves Caffie, but I can come up with my own stuff if needed). The story takes place after one of my earlier games, named Double Action Blaster Guys. 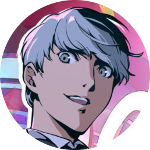 The bad team that was defeated in that game is now in jail, and the original heroes have long disappeared, but now they've broken out with no one that can stop their crazy plans, or so they think. Unlike a lot of games the bad guys will actually be actively doing things throughout the story rather than just waiting at their lair until the hero shows up. It has moving platforms, that can be line-following. It has its own editor that draws inspiration from Lunar Magic, and is completely open source. The level is constructed using drag and drop stuff. I don't expect them to actually care but I want to give SMB1 hackers a good alternative with a flexible engine that can be modified as they please, and the ability to share the stuff they make freely and completely legally. This demo only has like 7 levels so far, and the 7th one isn't even finished. I put some items in the inventory to play with, so you can mess with the really broken, abusable bombs. 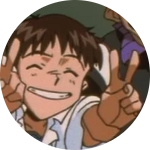 The demo also only has one placeholder song, reused from DABG. Well THIS looks really interesting! I like this alot! I hope this will get very popular! Quite an ambitioius project. I like how this is shaping up so far. Good luck with this! I played a little bit and it appears to be quite good. I tried something similar but couldn't quite figure out the scrolling on the NES. Hopefully this will turn out well. Scrolling is just a matter of updating the sides of the screen as you update the camera. Having only horizontal scrolling makes it way easier. It's supposed to be super cute. Thanks for all the encouragement. I'm gonna keep working on this and try to make it awesome. This is my level select screen. It's circular, with different icons for available levels, locked levels and completed levels. There's going to be a balloon item that you can buy, that saves you when you fall into an endless pit. The King from my SMB1 hack, and Ronald. They play the same sort of role Lakitu does. 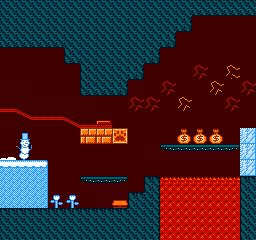 Some mockups from a much later area (The Frozen Volcano) that will have minecarts and other stuff. I gave it a try, so I suppose I'll share my thoughts. Overall, I like it. It's humorous and has some interesting ideas, so I definitely think it has potential. But I have a few gripes. First, I'm still not a fan of the physics engine. I know you implemented an option for slow running, and while I do think that was an improvement, Nova still feels really "floaty," for lack of a better word. It almost feels like she's weightless. It's not terrible, but it could be better. Second, the ability copying feels sort of tacked on at the moment. I don't know if you were planning on updating this later in development, but the reason Kirby's ability copying makes sense is because he's a very, very simple character by default, and his sprite is augmented differently for every possible ability he can have. Nova doesn't really have this characteristic. It's not really clear what ability you have at a glance. I think the best way to fix this is to change Nova's appearance for each ability. It could even be something as simple as a palette swap. Also it's not really clear which enemies give you abilities and which ones don't. I know the tutorial mentioned projectiles, but maybe you could find another way to distinguish them? Nice little homebrew demo you have there! I would suggest making more level songs, as hearing the same one each level starts to drive me insane. Second, the ability copying feels sort of tacked on at the moment. I don't know if you were planning on updating this later in development, but the reason Kirby's ability copying makes sense is because he's a very, very simple character by default, and his sprite is augmented differently for every possible ability he can have. Kirby's Adventure, Kirby's Dreamland 2, Kirby's Dreamland 3 and Kirby 64 don't do this, aside from holding a sword or parasol. Maybe there's some palette changes in Adventure but I don't remember. I might do something though; early on the plan was to have the tail change. I think what I need to do physics-wise is really look into how physics works on a Mario game and try to replicate that but with my jump height. Yeah, I have someone who wants to compose songs for me and I'm waiting on them. Good to hear. It'll certainly add to the charm of the game. I've been following this on nesdev.com. I support any type of homebrew or hacks so I support this project. The open source editor seems cool. I may have to give it a try. If you do a physical release of this game I would buy a copy for my collection. Keep it up man. Do more levels and more music and do a physical release.